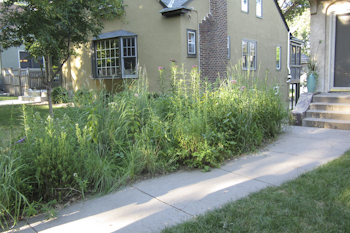 We toured four Minneapolis rain gardens last night with the Wild Ones Twin Cities group. Rain gardens are bowl-shaped in order to capture and retain water from downspouts during rain events. It allows water to infiltrate slowly on the property, helping to replenish ground water stores, and prevent storm surges in the city's storm water system. Rain gardens can reduce the amount of pollutants carried from properties into the watershed. The first one was featured in the front yard, accomodating the rainfall from about half of the front roof. The homeowner had it professionally designed and installed it herself including digging the 'bowl' out. The native plants near the curb (farthest away from the downspout) and therefore in the drier part included Field Pussytoes, Purple Cone Flower, Prairie Smoke and Sprengel's Sedge. Featured in the middle was Joe Pye Weed. 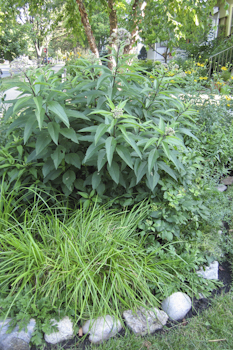 Native perennials on the moister end of the rain garden where the buried downspout extension emerged included Black Eyed Susans, Mountain Mint, Big Bluestem, Nodding Onion and Butterfly Milkweed. The homeowner has signage at the curb explaining what the purpose of a rain garden is. 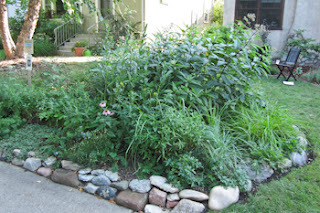 The second rain garden was also in the front yard bordering the front sidewalk. It was approximately 18 feet long and 5 feet wide. This rain garden also accomodated approximately 1/4 of the roof's run-off. 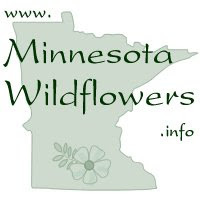 Ironweed and mountain mint were in full bloom as well as the Big Bluestem grass. 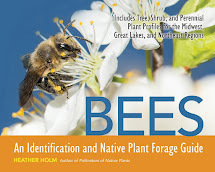 Other native species included Swamp Milkweed, False Sunflower, Golden Alexanders, Blazingstar, Boneset, Anise Hyssop and Joe Pye Weed. 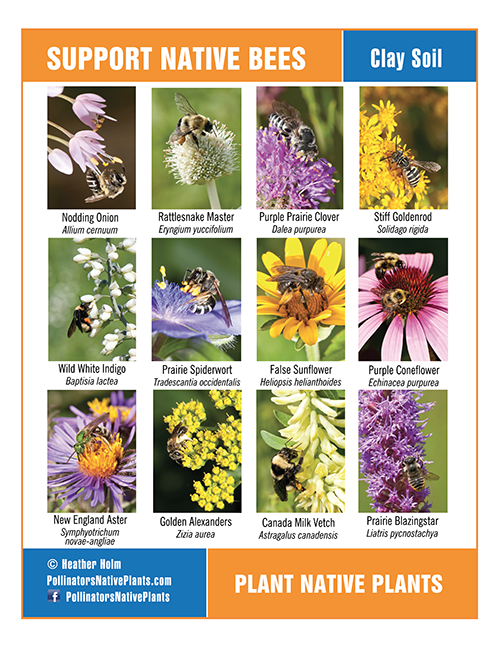 Rain gardens are a win-win providing a way to capture and improve water quality as well as beautifying your landscape with native plants. 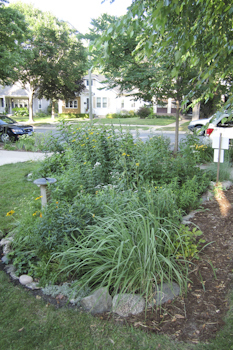 If you live in the Twin Cities metro area, there are many grants available for rain gardens. See the Blue Thumb website for details.